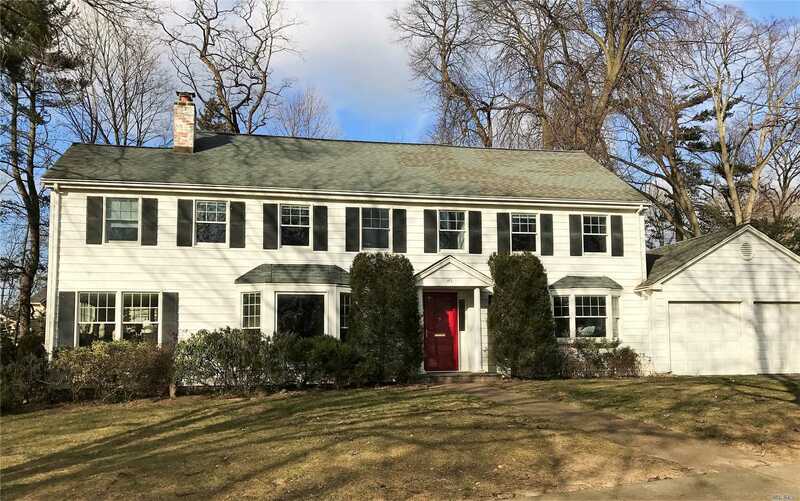 Unique Sunny Colonial 0.4 Miles To Lirr And Town. Open Floor Plan For Easy Entertaining. 2 Walls Of Windows Give Lovely Views Over The Spacious Property Including Splendid Sunsets. 4 Huge Bedrooms And 2 Flex Rooms. 8 Closets Including Walk-In.Full Attic With Wood Floors For Extra Storage. Keyless Entry, Classic Custom Eat-In Kitchen With Granite Countertops, Huge Tub Mbath.